If you are looking for information on the Club Scientific franchise business opportunity, Club Scientific franchises or Club Scientific franchising, then you have come to the right place. A Unique Opportunity to Enrich The Lives of Children In Your Community! 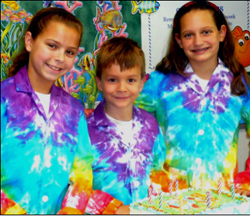 For nearly 11 years, Club Scientific, LLC has been in the business of providing children with structured science-themed activities in a fun and nurturing environment. During that time, our company has evolved with new enrichment opportunities, innovative curriculum, and a proven model of success. Our team has its sights on the future and the future looks quite exciting! 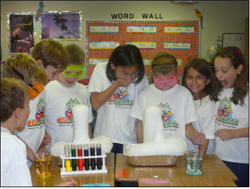 Club Scientific, LLC, is looking for franchisees that share our commitment in providing a high quality science enrichment programs that promotes an interest in science and technology through experiments and projects that are hands-on and fun. Your Club Scientific Franchise represents a unique business opportunity: family oriented, great business potential, a modest investment, booming child enrichment demand, and the on-going support of a professional franchisor that is focused on your success. In a world filled with the products of science and technology, scientific literacy has become a necessity for everyone. Parents agree that our children urgently need better science education. As a result, when it comes to providing fun and challenging academic enrichment opportunities, parents are spending more money and seeking programs that will challenge their children to learn about the world around them. 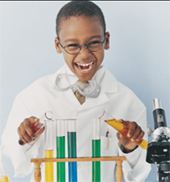 Club Scientific believes that every child is a "Little Scientist" and that we can make them even better scientists through exciting hands-on experiments. You too can help improve the scientific literacy of your community by becoming a Club Scientific Franchisee. Club Scientific is a unique, exciting and profitable home based business! The Franchise fee allows you to use the Club Scientific name and trademarks. Club Scientific Franchisees will have access to our operating systems, marketing guidance, new product introduction, ongoing business consulting and other great benefits that come with being part of the Club Scientific Organization. So we can get to know each other, we have designed a day that will bring you to meet with our team. At Discovery Day, you will have the opportunity to see the Club Scientific Franchise opportunity first hand. You will meet the support team, discuss the application process, ask questions regarding the Franchise and the operation as well as visit a few existing after-school enrichment programs in our area. Depending on the time of year, you may also be able to visit one of our summer day camp locations. One of our goals is to go over the UFDD, (Uniform Franchise Disclosure Document). This document is required by the government and it provides as much information as possible about Club Scientific, LLC to potential Franchisees. After Discovery Day, our Franchise Approval Committee will review your application to determine whether or not there is a good fit between you and Club Scientific, LLC. You will be notified of the committee's decision within 48 hours. We are confident you will share our enthusiasm and decide to make Club Scientific a part of your future. We invite you to learn more about our systems and support.